Maggie blames her mom for the family's disintegration. "She's driven him away with her constant nagging and complaining and arguing. Honestly, who could stand to live with that woman?" she vents to her friend Claire. ^ However, there's more to the story, and Maggie desperately wants to know the truth--something nobody seems willing to tell her. 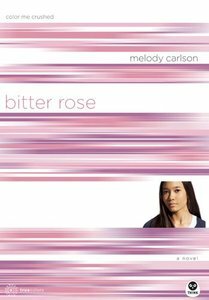 ^ The eighth book in the TrueColors teen fiction series, Bitter Rose takes an honest look at divorce, forgiveness, and relationships. - Publisher Maggie's parents suddenly split up after 25 years of marriage. The whole situation has Maggie feeling hurt, distraught, but most of all, violently bitter. She's desperate for someone who can restore her confidence in love. About "Bitter Rose (#08 in True Colors Series)"
Maggie's parents suddenly split up after 25 years of marriage. The whole situation has Maggie feeling hurt, distraught, but most of all, violently bitter. She's desperate for someone who can restore her confidence in love. When Jordan starts to make new, more popular friends, Kara feels totally burned by her former best friend's icy rejection. These dark blue days are almost more than she can take, until she makes a life-changing discovery. To get there, however, Kara must make some major choices about who and what she's going to believe in and if she'll ever trust anybody - including God - ever again. In her new TrueColours series, best-selling author Melody Carlson takes young readers into edgy, poignant topics that students deal with on a daily basis - issues such as drug abuse, sexuality, body image, and more. Each book includes discussion questions.